The Environment Cooperation Program (ECP) aims to develop a multi-agent system simulating the human-nature interactions from a complexity system perspective by fostering a new perception of the environment via reinterpreting pungsu (Chin. feng shui, geomancy) as a shared system of traditional knowledge and empirical science in East Asia. ECP has focused on constructing a spatial database on the Asian region, analyzing environmental changes, and developing a multi-agent land use decision-making system. and Ecosystem Services in order to assess the value of ecosystem services in the Asia-Pacific region. Lastly, ECP aimed to redefine the role of pungsu. 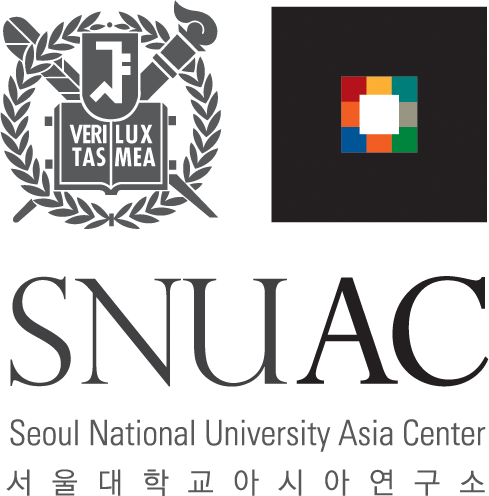 ECP and SNUAC were actively involved in operations of the Pungsu Research Council of East Asia. ECP organized a special session for the 2016 Annual Meeting of Korean Geographers “The Present and Future of Korean Pungsu Studies” and the session invited Korean pungsu experts from different fields to discuss issues, vision, and methodology of Korean geomancy. The major accomplishments of ECP in 2017 were the evaluation of ecosystem services in the Asia-Pacific region and participation in establishing the Asian research network organized by Future Earth. The former applies to environmental policy, while the latter serves an important role in establishing international networks for sustainable Earth. ECP aims to provide knowledge for overcoming the worldwide climate change that is confronting humanity and conduct research for developing policy which endorses sustainable and fair future society. The spatial information of Asia, collected in the past five years by ECP, is being utilized to provide spatial, socio-economic, and environmental resources for the Asia Regional Information Dissemination Center which is currently being organized by SNUAC. The Asia Regional Information Dissemination Center expects that the collected data embodying the diversity in Asia to serve as a basis for cooperation in the future. The modernization of pungsu is currently being realized through the books Contemporary Pungsu 101 and Contemporary Geographical Reinterpretation of Pungsu which will be published in 2018. Researchers from fields including landscape ecology, religion, history, geography, architecture, and topography have participated in the publication that comprehensively deal with pungsu discourses in Korea, China, and Japan. In 2018, the priority of ECP lies on establishing the Asian Center for Sustainable Land Use and preparing the ground for its independent operation as a core institution in sustainable land management in Asia. Another task set by ECP is to promote reinterpretation of pungsu as system of empirical science and traditional knowledge shared by East Asian countries and to develop it into a common Asian value. East Asian countries such as China and Japan are investing great effort in popularizing their geomancy principles overseas while interest in pungsu remains at an individual level in Korea. Thus, various publication activities will be carried out by ECP to raise awareness of pungsu in Korea.